What is CRS? 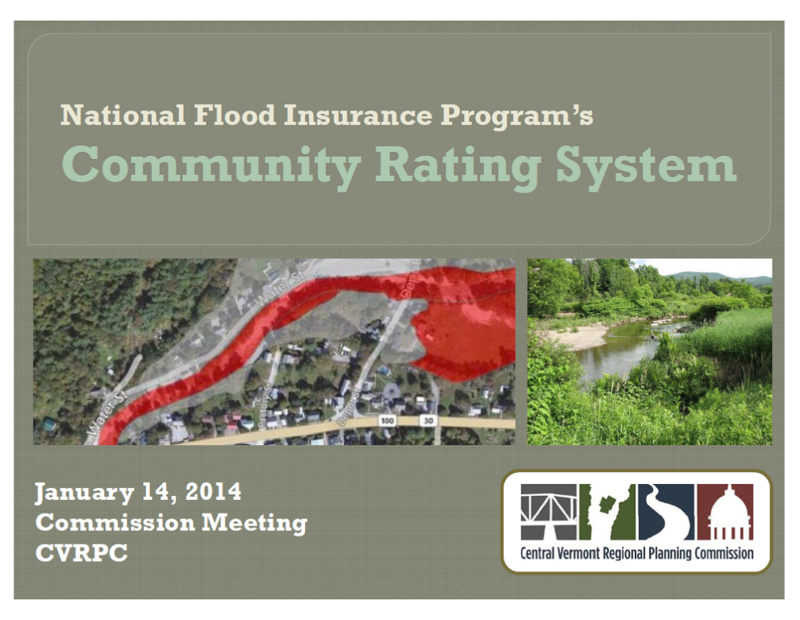 Implemented in 1990, the National Flood Insurance Program’s (NFIP) Community Rating System (CRS) is a voluntary program for recognizing and encouraging community floodplain management activities that exceed the minimum NFIP standards to reduce flood losses, facilitate accurate insurance ratings and promote the awareness of flood insurance. 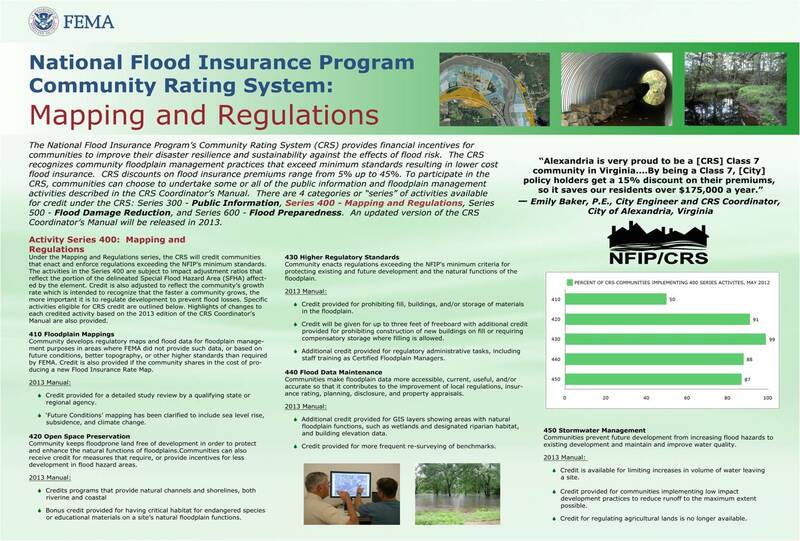 How CRS Works: CRS communities are awarded points and then rated based on their local floodplain management activities which exceed NFIP minimum requirements. The communities are then placed into categories from class 10 to class 1 based on point totals. 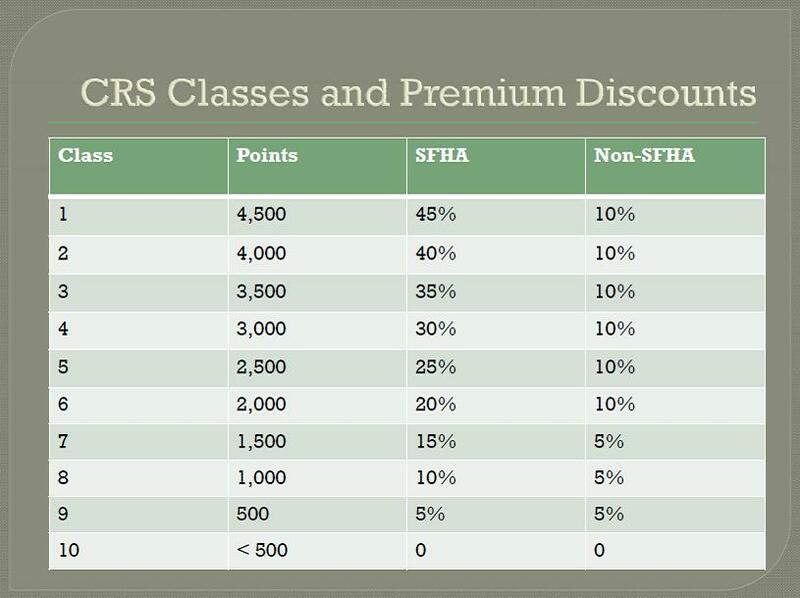 All communities start out as a class 10 (no discount) and receive an additional 5% premium discount for each class they progress towards a class 1 (45% discount). The CRS point system is heavily weighted towards non-structural mitigation techniques, such as land use planning, zoning ordinances, open space conservation, building codes, flood warning systems, etc. Currently the City of Montpelier is one of three communities in the state of Vermont and the only community in Central Vermont participating in CRS. 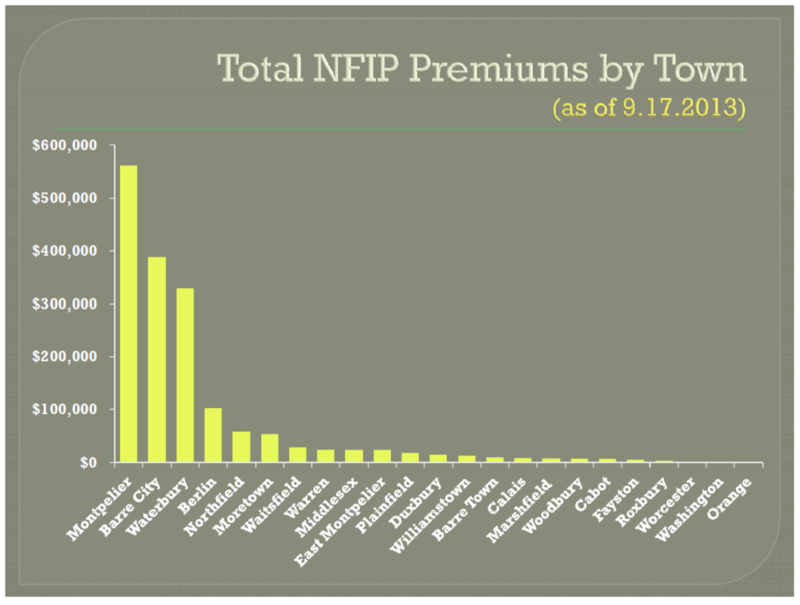 Montpelier is a Class 9 CRS Community and NFIP policyholders receive a 5% discount on their premiums. 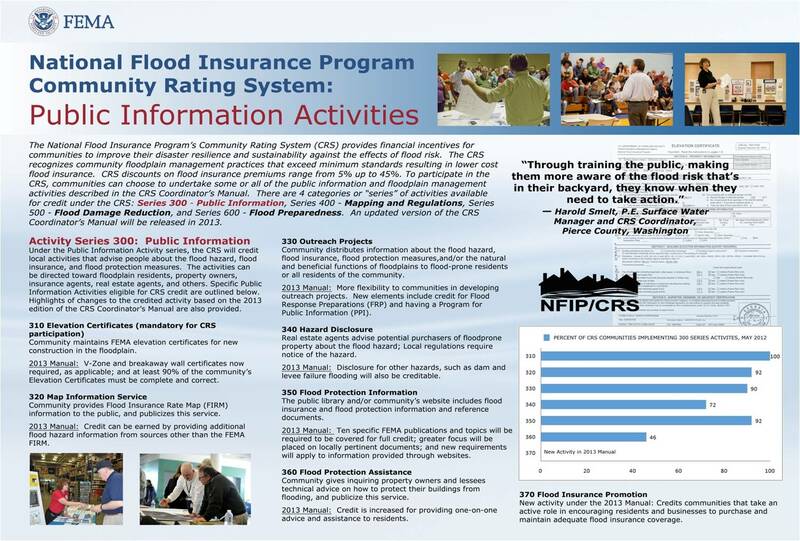 Under this series, the CRS will credit local activities that advise people about the flood hazard, flood insurance, and flood protection measures. The activities can be directed toward floodplain residents, property owners, insurance agents, real estate attends, and others. Under this series, the CRS will credit communities that enact and enforce the regulations exceeding the NFIP’s minimum standards. 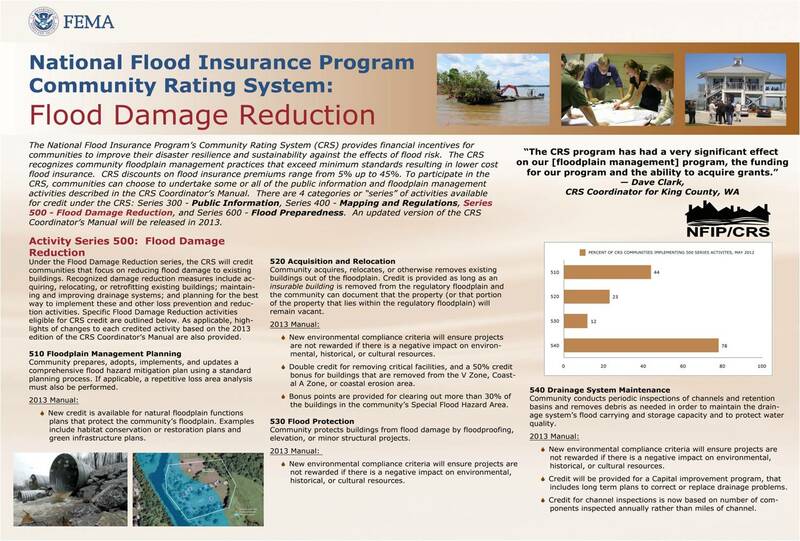 Under this series, the CRS will credit communities that focus on reducing flood damage to existing buildings. Recognized damage reduction measures include acquiring, relocating or retrofitting existing buildings; maintaining and improving drainage systems; and planning for the best way to implement these and other loss prevention and reduction activities. 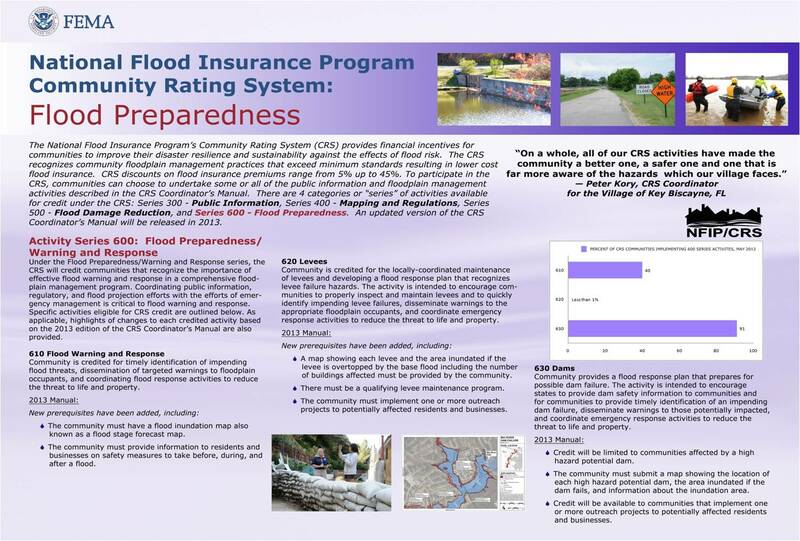 Under this series, the CRS will credit communities that recognize the importance of effective flood warning and response in a comprehensive floodplain management program. How to Get Started: A community can request a CRS classification at any time, provided that the community can meet all the required responsibilities and credit points add up to at least 500 points (done using CRS Quick Check spreadsheet – download >> ). Model Ordinance 4 includes a summary table outlining the activities prohibited in the floodplain (Table 1). If Model Ordinance 4 is implemented, then CRS credits are potentially available for freeboard, cumulative substantial improvements, protection for critical facilities, protection of floodplain storage capacity, natural and beneficial functions, enclosure limits, other higher standards, land development criteria, special hazards regulations, staffing, and manufactured home parks. See Uniform Minimum Credit in Vermont for summary of potential credit points. Trainings are free for municipal staff, only meal ticket not covered by FEMA. For more information: regarding CRS in Central Vermont, contact Pam DeAndrea at deandrea@cvregion.com, 802-229-0389, or the State NFIP Coordinator Rebecca Pfeiffer at Rebecca.Pfeiffer@state.vt.us.